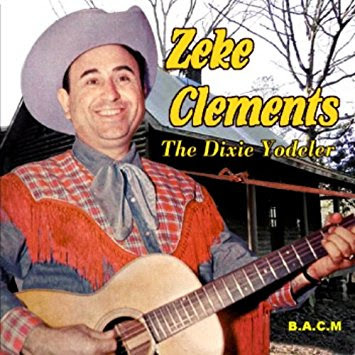 Zeke Clements (September 6, 1911 – June 4, 1994) was one of the most versatile figures in American country music. He was a major star on radio and films in the 30’s and 40’s and composed some of the best-known songs of that era. 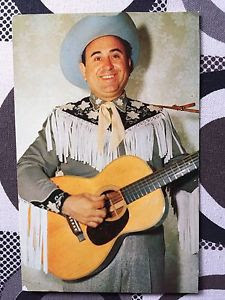 He started his career over WLS in Chicago in 1929, when he joined Otto Gray and his Oklahoma Cowboys touring show and was signed to the National Barn Dance. He then moved to Philadelphia. 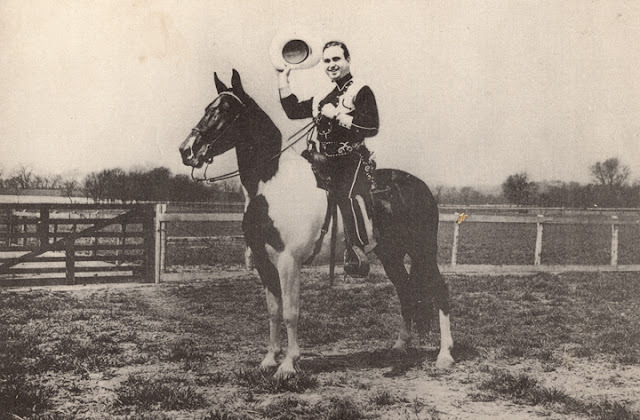 He eventually arrived in Nashville in 1931, where he joined WSM as a member of Ken Hackney’s Bronco Busters, the first western act on the station. 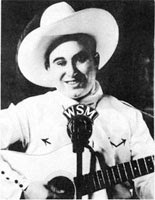 He moved on to entertain on stations in Detroit, Cincinnati and Philadelphia before returning to Nashville and joining the Grand Ole Opry cast in 1933. For a time he also worked with Texas Ruby Owens, moving on to WHAS in Louisville and WHO in Des Moines. 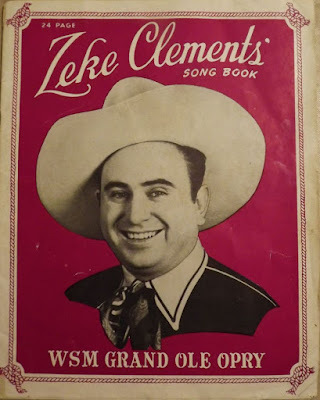 While working on the Hollywood barn Dance in 1937, Clements answered an ad from the Walt Disney Studio for a cowboy singer who could both read musical scores and yodel. The job was for the soundtrack to Snow White and the Seven Dwarfs, and Clements became the voice for the cartoon character Bashful in that classic. His yodeling sequence in the "Silly" song caused much favourable comments in the press at the time. This led to his appearing in B-grade westerns, often as the sidekick for Charles Starrett. Zeke eventually appeared in more than 100 films.. By 1939, after his professional breakup with Texas Ruby, Clements returned to WSM, where he became a leading Grand Old Opry soloist and a successful songwriter. 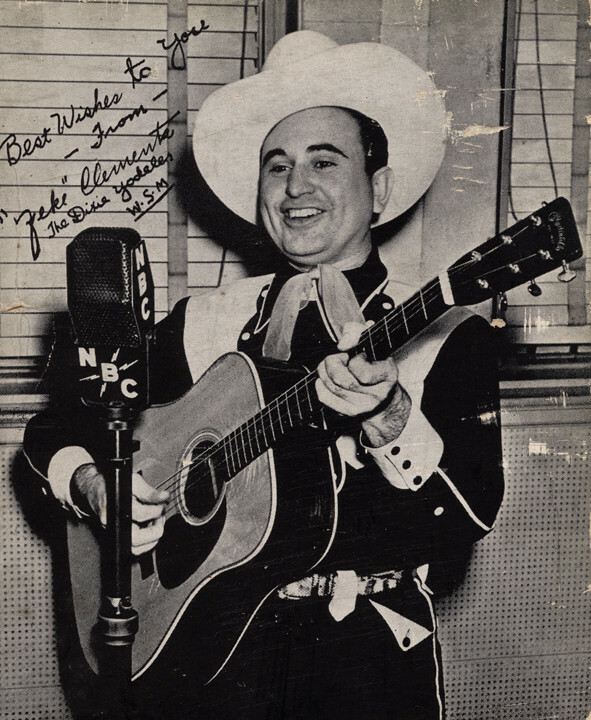 His “Smoke on the Water,” a strong World War II song, was featured by Roy Acuff and became a major hit for Red Foley in 1944. Eddy Arnold had hits with Clements “Just a Little Lovin’”(1948), “Why Should I Cry” (1950), and “Somebody’s Been Beating My Time” (1950). 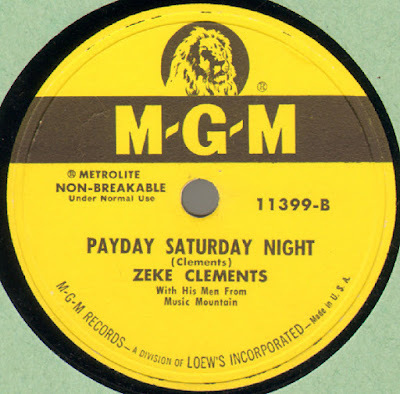 During this time, Clements also founded his own record company, Liberty, in which he recorded such artists as Paul Howard , the John Daniel Quartet, and himself. Liberty was later renamed Blazon Records. 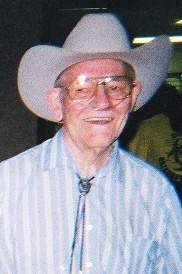 In 1947, he joined the cast of the Louisiana Hayride in Shreveport and appeared on several radio stations in the South. During the 1950s, he starred on local TV shows in New Orleans, Birmingham, Atlanta and Nashville. Zeke Clements was also a recording artist, issuing singles on the Liberty, Dot, Bullet and MGM labels, among others. In the 1960s, he moved to Florida and joined a Dixieland band as banjo player and pursued other business interests but moved back to Nashville and made appearances on the Opry in the 80's. He died in Nashville, Tennessee from complications associated with surgery in 1994. He was 82. He was buried at Spring Hill Cemetery in Madison, Tennesee. A big thank you to The Rockin' Bandit for original link. I'd love to have this but with so much ransomware coming via Zippyshare i'll have to pass. Hello bulldogUK Sorry to hear about Zippyshare playing up. Had this trouble before but managed to get roundit. Still all is not lost, have reposted on Mediafire. Thank you very much Bob .. 'Mediafire' was good and clean. It was also quite fast .. d/l took just over one minute. I'm going to enjoy listening to this, once again THANK YOU.